When Karen DiCamillo lined up for the 2017 Boston Marathon, the 26.2 miles ahead were nothing compared with what was behind her. The experienced marathoner had outpaced breast cancer over the seven months beforehand so she could accept her second invitation to the elite race. In September 2016, a routine mammogram at Adventist HealthCare Imaging revealed a lump in the breast of the 42-year-old mother of three from Germantown. A biopsy found Stage Two breast cancer. Karen immediately began working with oncologist Chitra Rajagopal, MD, breast surgeon Nancy Markus, MD, and the comprehensive care team at Adventist HealthCare Shady Grove Medical CenterAquilino Cancer Center. Because of Karen’s Jewish heritage, the doctors tested her for a mutation in the BRCA genes that is linked to hereditary cancers. While Karen awaited results, which were negative, she began chemotherapy and reviewed her surgical options with Dr. Markus. Karen also asked Dr. Markus about running. “When she sat me down and told me I had cancer, my second thought was, ‘What about Boston?’” Karen said. Dr. Markus was cautious but hopeful. Breast cancer navigator Lori Hartinger, RN, encouraged Karen to train for the April 2017 race with clearance from her medical team. Karen was unable to run during the six chemotherapy treatments she received every two weeks. Instead, during treatments, she attended the free Gentle Yoga classes at the Aquilino Cancer Center and used its range of services and support for cancer patients. Oncology dietitian Patty Guay-Berry helped Karen optimize nutrition during treatments. Hartinger and oncology social worker Lindsey Wise provided resources and support, both for Karen and her children. The availability of treatments and services in one location at Aquilino Cancer Center made it easier for Karen to maintain her family’s routine. When Karen finished chemotherapy in December, Dr. Markus cleared her to run again. Karen took a short break in January for removal of lymph nodes and a lumpectomy that showed no signs of cancer. She also received lymphedema therapy, which can ease physical symptoms of cancer treatment, and began radiation treatment with Marie Gurka, MD. Karen built up her running distance to 8 miles—far short of the distance she’d trained for her other marathons but enough to persuade her to make the trip. On April 17, Karen completed the well-known course from Hopkinton, Massachusetts, to Boston. She walked through water stations and climbed the race’s notorious hills, taking it easy to avoid injuries and focusing on enjoying the experience. Karen aimed to complete the race in 6 hours, before the course removed its support services. She finished in 4 hours, 57 minutes, 36 seconds. Today, Karen is back to her running routine, frequently completing 5-mile loops near her Germantown home. She still takes yoga at Aquilino Cancer Center but says her new pastime will never replace the one that makes her the happiest. During her cancer treatment, Karen DiCamillo had support from her training partners from the Montgomery County Road Runners Club (MCRRC), who took turns joining her for walks. Now, the MCRRC is bringing a new program to Aquilino Cancer Center. Running Beyond Cancer, a training program exclusively for cancer patients and survivors, kicks off Tuesday, Oct. 3. Experienced MCRRC coaches Don Shulman and Andy Steinfeld will lead the twice-weekly sessions. On Tuesdays, runners or walkers who want to build up to running will complete a loop around the Adventist HealthCare Rockville campus. 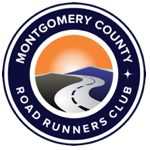 On Saturday mornings, runners will meet at scenic trails around Montgomery County. The program is free. New and experienced runners coming back from cancer are welcome, but a doctor’s clearance form is required. Participants will receive a long-sleeved technical shirt as they aim to complete the MCRRC 2018 New Year’s Day 5K. This new program aims to help cancer survivors form social connections while building stamina and strength. Join Adventist HealthCare to raise awareness of early detection for breast cancer. Take a free breast cancer risk assessment, and join us for a pink walk around the lake at RIO Washingtonian on Sunday, Oct. 1, 2017. PreviousTraditional Open-Heart Surgery vs Minimally Invasive – What’s the Difference?